Let's assume that we need to implement the following scenario: you need to gather information such as First Name, Last Name and Address for a travel agency. 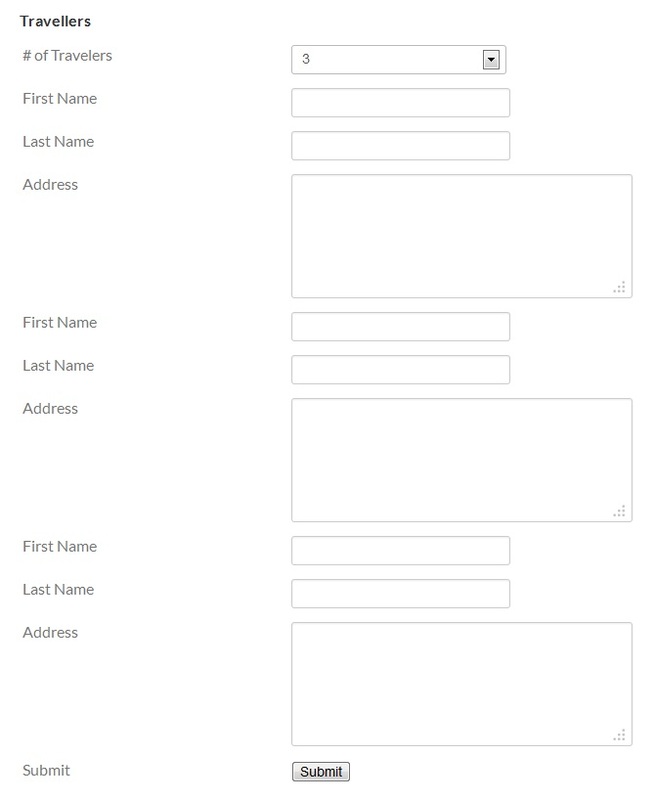 This wouldn't pose any problems unless you wish to allow multiple registrations on a single form submission. In our case, we will allow 3 registrations on the same form submission. This is where the Conditional fields feature comes in. It allows you to show / hide fields based on conditions set by selections made in dropdowns / radio / checkbox groups. The only drawback to this is the fact that you need to have a limited, pre-defined number of fields, you cannot add them "on the fly". To keep the article short, we will not present all of the conditions that need to be set for each of the fields. Instead, we'll just explain the logic behind them, and leave the rest for you to implement. 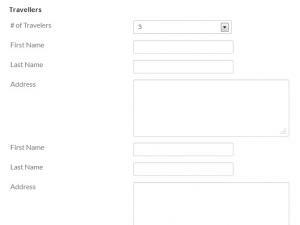 Also, note that you can also install the sample form linked at the beginning of the article and have a look at how it was implemented.